Mary Malavase came to Nantucket in May of 1973 for a summer job and never left. Her work experience on the island has been in the lodging industry, and she has held key management positions at several island hotels. Her entire career on Nantucket has been in the hospitality industry making island visitors feel welcome. She has served as President of the Nantucket Island Chamber of Commerce and President of the Nantucket Lodging Association. 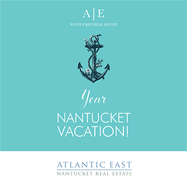 She is well respected in the travel and tourism industry and is the recipient of several Nantucket and Massachusetts awards such as the Nantucket Chamber of Commerce Annual Achievement of Merit Award and the Annual Hospitality Award. In 2004 she was awarded the Governor’s Leadership Award given by the Massachusetts Office of Travel and Tourism and is one of only four people so honored. Mary has earned the Resort Second Property Specialist (RSPS) designation by the National Association of Realtors. As a charter member, she is among the first 250 people to achieve this certification. She also received the Transnational Referral Certification (TRC) from the International Consortium of Real Estate Associations. In 2008, she completed classes and was awarded the Accredited Buyer Representative (ABR) designation. Most recently, in 2015, Mary completed the Seller Representative Specialist (SRS) designation. She is a member of the Nantucket Garden Club, the Wharf Rats Club, Nantucket Angler’s Club and Board Member of the Siasconset Union Chapel. 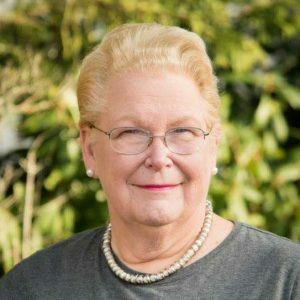 Mary has just completed an 8-year appointment as a member of the Board of Trustees of the Nantucket Historical Association and is an ongoing committee member. She was also recently appointed to a three year term to the Visitor Services Advisory Committee of the Town of Nantucket’s Department of Culture and Tourism. Her hobbies include growing and showing daffodils in the annual Daffodil Flower Show and making Nantucket Lightship Baskets. She was recently certified as an accredited daffodil flower show judge with the American Daffodil Society and serves on the national Board of Directors.